Our ultimate goal is to network with people that hold the same interests, work ethic and drive. To let us come to a place where "We can all rise 2gether” Each issue will showcase up and comers in different fields. Every issue we will provide you with articles on music, sports, health, games and what ever else peaks our interest. Our focus will be on some local issues and people within the community. We plan to entertain, inform and stimulate your minds, so you’ll return again and again. If being in our magazine can help one person to move forward, that would be a great start towards our goal. Nothing is more important than friends and family. In other words,without the support of ones community, no one can thrive anywhere. 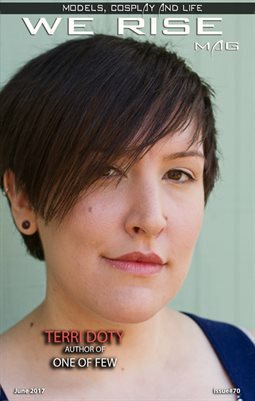 We Rise Mag is based out of Central Islip, NY. We Rise Mag was created to showcase, promote, and give exposure to many up and coming talented individuals. We look to help everyone with the talent and desire to develop in the industry. Model, Music artist, DJ’s, Producer, Photographers etc., this could be your opportunity. Make your name and face known by many. 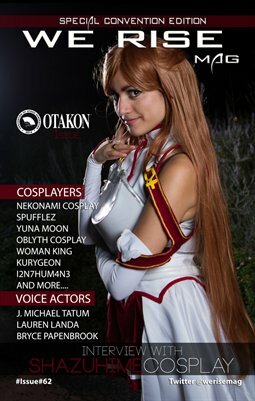 The We Rise mag crew took another trip out to Baltimore to attend the annual convention Otakon. Katsucon is one of the largest anime conventions on the east coast. It is known for it's location and the level of cosplay you will see by attending. Print + Digital: $11.99 Digital: Free! 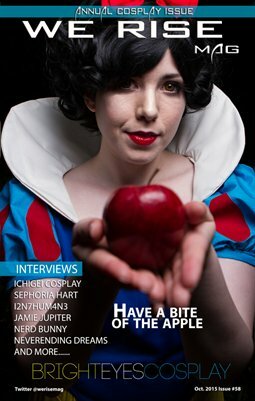 Interviews with aspiring models, cosplayers, and up coming taent. Anime, Con and movie reviews. 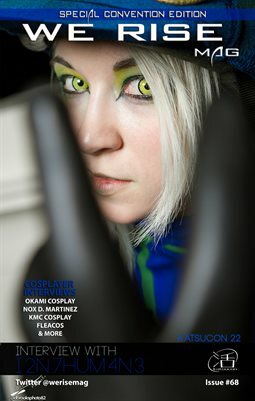 Interviews with Panthera & Valda cosplay and more... Anime, Gaming, and Movie reviews. Each year we show appreciation to the world of cosplay and the wonderful people who dedicate their time bringing us beautiful art. Our annual edition dedicated to Christmas. Model and Cosplayers dress up in the X-mas attire.